1. How can I best get my message across to my audience in a meaningful way. 2. How can I make sure I am reaching as many of my target customers as possible? 3. What are my advertising options? In my experience, small businesses owners are beginning to realize that getting real value-for-money is critical to business success. Advertising budgets are being squeezed, while at the same time, we continue to expect more results. In short, this is really means that we are looking to be more efficient and effective in how we advertise. Add to this the fact that today there are more ways to advertise than ever before. From traditional avenues such as print, TV, and radio advertising, to the explosion of online and social media marketing, the game is changing. Buyer behavior is changing too. Buyers are increasingly seeking goods and services through non-traditional channels. Traditional marketing channels no longer have the same reach and impact that they once did. Reflecting this trend, Jupiter research predicts that US online advertising spending will top $34.5 billion by 2012. It’s up to us, as business owners, to search out the best value for our advertising dollar within this evolving environment. One classic example of a declining channel is Yellow Pages advertising. Even a quick glance at the statistics shows that it is very clear that the effectiveness of Yellow Pages advertising has been steadily declining. One recent study showed that the average number of times that people refer to the Yellow Pages has declined by more than 32% in just the last four years. And, this decline is projected to continue into the future. The average household now refers to the Yellow Pages less than twice per month, and this will only become less and less often. This is clear evidence that when it comes to reaching potential new customers, Yellow Pages advertising is becoming an increasingly outdated and ineffective advertising medium. Well, one common alternative often adopted by business owners who are looking for ways to stretch their advertising dollar is bulk e-mail marketing. 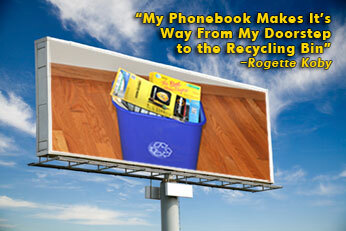 This can be seen as a cheap alternative to expensive Yellow Pages ads. This approach can be justified by the promise of reaching millions of potential customers with minimal up-front costs and relatively low marginal cost. There is some truth to this viewpoint, and bulk e-mails can be effective in some circumstances. However, the drawback is that they’re usually a completely untargeted ‘scatter-gun’ approach – kind of like pulling random names from the phone book – and are usually very inefficient. Response rates to such bulk e-mail campaigns can be less than 0.005%. That’s less than one response for every 20,000 e-mails sent, and that call may not even turn into any new business! Often, we have found that tailoring visual and written message advertising using a combination of mediums such as social media, search engine optimization, brochures, direct mail, or even non-traditional advertising such as a vehicle wrap, can create a real difference between advertising messages getting noticed and drive new business (like they’re supposed to! ), or not. Think of it as the difference between reaching and speaking to your target customer base or just guessing. Recently I had a client that shared his 2012 advertising budget with me, and asked us to come up with a comprehensive solution that would give him good value for money. The resulting campaign took a targeted approach; including doing up-front market research to really understand who his most likely potential customers are, learn what they need, and what advertising mediums would reach them best. We then created a coordinated campaign utilizing relevant marketing tools focused specifically on reaching those customers and addressing those needs. Taking this approach we were able to utilize the client’s budget wisely and secure a great return on his advertising investment. It is important to pay attention to the changing trends in advertising and how they can best be harnessed to promote awareness about a business’ products and services. The bottom line is that small business owners should, more than ever, consciously direct their advertising spending on marketing channels that are visible and effective in reaching their target audience. How do you choose between the options to advertise your business’ products or services? This blog changes in January. Happy holidays!